THE STORY - Ben and Rose are children from two different eras who secretly wish that their lives were different. Ben longs for the father he's never known, while Rose dreams of a mysterious actress whose life she chronicles in a scrapbook. When Ben discovers a puzzling clue and Rose reads an enticing headline, they both set out on epic quests to find what they're missing. ​Todd Haynes is a visionary filmmaking genius whose films have united many in their praise (“Far From Heaven” & “Carol”) and alienated others ("Velvet Goldmine" & “I’m Not There”). “Wonderstruck” is yet another example of Haynes’ brilliance as a master storyteller. Perfectly utilizing all of the tools within the filmmaker’s toolbox, Haynes transports us to 1927 and 1977 New York City along two different timelines. The result is his latest film titled “Wonderstruck” and in terms of its cinematography, editing, sound design, score and other technical achievements it is truly a wonder. Now, could you imagine how much better this film would have been if it had a better story? Ben (Oakes Fegley) and Rose (Millicent Simmonds) are two children from two different eras who secretly wish that their lives were different. Ben lives in Minnesota and sets off to New York City to find the father he has never known while the deaf Rose leaves Hoboken New Jersey and also sets off to New York City to connect with a mysterious actress whose life she idolizes. Ben meets another young boy in New York who helps him along his journey named Jaime (Jaden Michael) while Rose's journey takes her beyond 1929 and well into the future. I don’t want it to come off like “Wonderstruck” has no story. Its message of finding your own place within the world, despite your circumstances is a good one, told through two children’s eyes who are both very different and yet very similar. However, the film meanders along for nearly two hours with very little narrative momentum. It’s a slow, patient film with not a single moment of humor thrown in to lighten up the plot and bring life to the film’s story. “Wonderstruck” is not a dark or depressing film. Quite the opposite. It is a hopeful, overly sentimental story of two children, from two time periods, how they connect to the much larger world around them and how they themselves are also connected to one another. Haynes’ aesthetics work to keep the film somewhat interesting at all times. There is also one particularly glorious sequence towards the end of the film involving miniatures and models that is as cinematic as one can get in terms of visual storytelling. And therein lies the problem. While Haynes’ work as a visual storyteller has never been bolder (Many sequences play out like a silent film with only Carter Burwell’s breathtaking score serving as the sound), the script by Brian Selznick is neither fleshed out nor fulfilling enough to propel “Wonderstruck” to masterpiece levels. As stated before, “Wonderstruck” boasts some of the best technical work found in a film this year. The constant editing back and forth between the two timelines (Although a little too frequent at times) is smooth and deliberate. Because the film deals with those who are deaf, there is a reliance on the aural landscape of this film to deliver. Both the sound team and composer Carter Burwell deserve awards recognition for their work on this film for accentuating sound, reducing it when necessary and adding the right flourishes to the score to help give the film a unique identity that propels it forward when the overall narrative does not. Production and costume design are also first-rate while not calling too much attention to themselves, and then there is legendary cinematographer Ed Lachman. Lachman’s work is showy due to the very nature of the film’s style (Color and black and white) yet subdued. The images are beautiful in a naturalistic sort of way, also without drawing too much attention to themselves. The visuals feel transportive, hypnotic and constantly engaging. 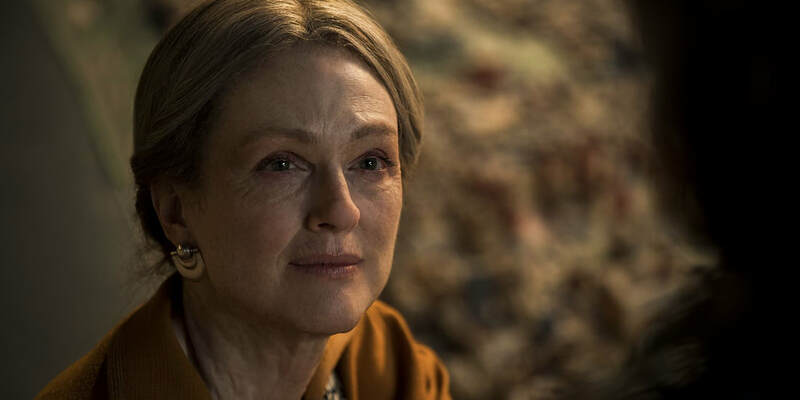 Michelle Williams and Julianne Moore are receiving top billing for Todd Haynes’ latest and while Moore has considerably more to do, both actresses are not giving Academy Award-worthy performances. Michelle Williams is barely even in the film. Instead, the movie is entirely led by Oakes Fegley ("Pete's Dragon") in the 1977 timeline and Millicent Simmonds (Who really is a working deaf actress) in the 1927 timeline. Both young actors do a great job of anchoring the film and helping to keep us engaged due to their journeys of self-discovery. But it is just barely enough. Oh, how I wish this visually and aurally breathtaking film had more going on with its story. I wish Haynes had introduced more humor and excitement into the narrative to help it move along. "Wonderstruck" is a children's film made for adults that will only keep some in wonder.